Fellows Essential Gentleman Autumn Warmth Beard Conditioner is a perfect way soften, nourish and add moisture to your beard without the use of harsh chemicals. This conditioner is excellent paired with Fellows Essential Gentleman’s Natural Beard Wash. 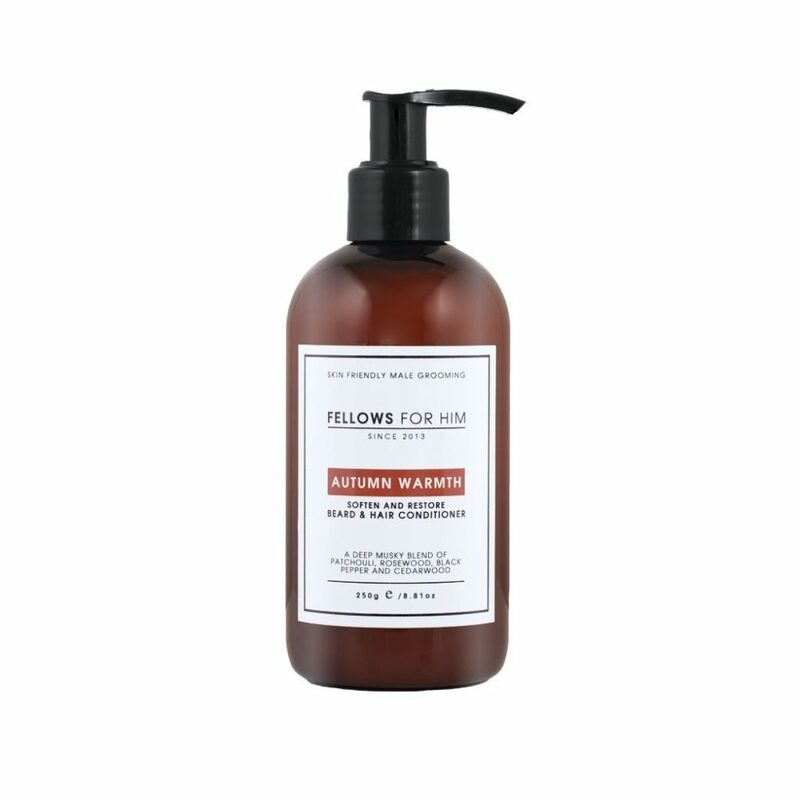 Autumn Warmth combines spices & essential oils derived from rosewood & cedarwood to create a warm masculine fragrance. Ingredients: Aqua, Cetearyl alcohol, Olea europaea, Cetrimonium chloride, Helianthus annuus seed oil, Tritium vulgare oil, Aloe barbadensis powder, Camelia sinensis extract, Faex. Essential Oils: Aniba Rosaeodora , Cedrus Atlantca, Piper Nigrum, Pogostemon Cablin Essential Oils.